Diana & Mitchell Up A Tree Kiss . . .
We’re a Limited Edition, those of us who love and pursue butterflies. I often wonder if wingedbeauty.com is the only true butterfly blog in the USA? I usually think that that can’t be so, for when I travel, and meet some like us on trails, I offer them my ‘business card’ (masterfully produced by Moo), I get little reaction, a brand of ho-hum. NABA too has never smiled at wingedbeauty. That’s gotta mean there are several dozen butterfly blogs about? So my band of merry men and women I share this shot of a butterfly that Jeff thought about for many years. I had never seen a Gemmed Satyr, and should you read that post we shared, my interesting association with gems and jewelry nurtured my interesest in seeing the Gemmed. Phil guided me, in Hard Labor Creek State Park in the Piedmont region of central Georgia. Gemmeds prefer dappled shade, and this one flew lazily from one leaf to another, all in the shade of the trees above. I think I asked G-d to help me there and then, for my Fuji Velvia 100 film could not do this sweetie justice in full shade. Walla! It flew next to this leaf, presented itself to me with this excellent pose, and I saw and shot my first Gemmed Satryr. We’re fast approaching Christmas and Chanukah, and Mr. Jeff’s mind is leapfrogging ahead to 2019. What other ‘Rare-Locally Common’ butterflies do I much want to introduce myself to in 2019? Diana fritillaries, those very large gorgeous fritillaries in northern Georgia and Mitchell’s Satyrs in Alabama. Scoured the northwestern mountains of Georgia this 2018 for Diana, but without success. Who’s going to guide me to my Dianas and my Mitchells? Don’t yet know. 24 years at this have found serious butterfly folks to be more than reluctant to do so. I’m just a lonely boy, lonely and . . . .
Phil D. selflessly agreed to meet me at Hard Labor Creek State Park (Rutledge, Georgia, USA). He was a Park Ranger Naturalist, and friends had urged me to reach out to him, to see and shoot certain Georgia butterflies. I was reluctant, for in my then home, Pennsylvania, only one person had ever invited me to see butterflies in habitat, ever (I think). Phil responded sure, when, what? My list of butterflies I so wanted to see included this one, the Gemmed Satyr butterfly. You say “Gem?” and I’m all in. That goes back to Frieda A”H. Faster than you can say, “I Love Georgia,” Phil and I reached a moderately treed area, and he was pointing out one, then another and another Gemmed Satyr. This one first flew to, and landed in a shady spot just inches above the ground. Then it flew to this nearby leaf and . . . posed. Posed for me. Wowwwww! Years of wanting to see this one, as I had wanted to see Regal Frits, Giant swallowtails, Zebra Heliconians and Comptons, over, for here was one that topped the List. Private, hued in gorgeous browns, sporting that band of ‘jewels,’ this little flier stood there with fine posture, quite proud of itself, and I shot away. Jeff and the Gemmed, happily confirming a meet-up that only 1 in 100,000 Americans have experienced! I’ve been to Tiffany’s 5th and 57th Street store multiple times. We’d pass David Webb’s showcase store on E. 57th Street many times, always stopping to chat about his very different jewelry. I’ve been to W. 47th Street too, and we’d seek out family friends who owned booths and more. Stared as they swept up the gold fragments from the floor of Mr. Gold’s workshop, as expert workers fabricate good earrings and necklaces at their workstations. Frieda A”H liked jewelry. I liked meeting her in town, having lunch and then a not too very long visit to those swanky fine jewelry emporiums. I’d seen Gemmed Satyrs in field guides for years. They are tiny little brown satyrs, with a type of bejeweled patch of “gems” on the underside of their hindwings. I really, really wanted to see those ‘gems’ for my very own eyes. Virginia introduced me to Phil, and Phil spotted this Gemmed satyr in Hard Labor Creek State Park that day in 2016. Jeffrey Glassberg in A Swift Guide to Butterflies of North America describes their habitat as “grassy moist woods,” The Gemmed would flit to a blade of grass in the shade, and soon to another leaf, also in shade. It was very small. When it flew a short distance to this leaf in dappled sunlight, I went down, down, down onto my tummy, and this butterfly stayed put. I shot away, and here is my best Gemmed Satyr image so far. I like the contrast a lot, the ‘gems’ set against the rich chocolate browns. It also evokes such wonderful memories, of days gone by, love lost. Gemmed satyrs and Georgia satyrs, me looking forward to 2018 reunions. Summer 2015, in Georgia. This was an exhilarated Jeff. When I seriously began photographing butterflies, Gemmed Satyrs jumped out at me. They sprung out from field guides. It took me years to connect the memories and thoughts that ignited these nano-ignitors. This instant Gemmed was pointed out to me by Phil, a very savvy Georgia State Park naturalist. 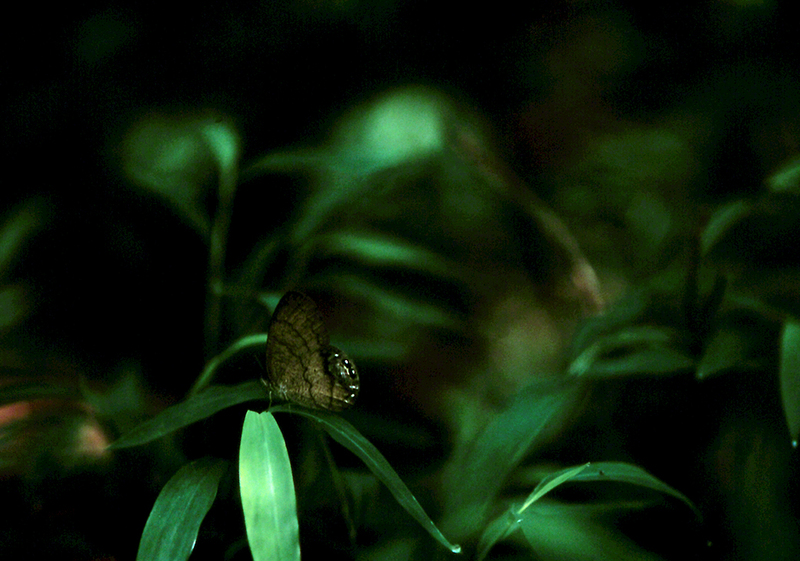 We had seen others, but they were in deep shade, on forest floor, their usual habitat. This one was too, but flew here to a spot with dappled sun penetrating, and . . . posed there. Posed, for me. Georgia hospitality, as I was getting so used to. Rose and Jerry, both extraordinary naturalists, guided me to Gemmeds at Piedmont National Wildlife Refuge, Georgia too. We found several, and truth be told, my ASA 100 Fuji slide film was just not fast enough for that really dark forest floor. Gemmeds move me. Why? Well when I lived in New York, in the 80’s I would visit the world’s top auction galleries, enjoying seeing Pre-Sale exhibitions of American paintings and European paintings. Held for generations in homes of the wealthy, their descendants often decided they no longer enjoyed them or, needed the dollar$. You’d see those finest of artworks in the pre-sale, and then they would go up for auction, and end up in homes in Tokyo, London, Santiago or Beijing or Moscow, not to be seen again for coming generations. At the time, I urged my wife Frieda A”H to come to Manhattan, have lunch with me, and then off to a Pre-Sale exhibition of . . . Magnificent Jewelry. When her slave mother and slave father were liberated from Nazi concentration camps in Germany, they reunited, and married in the camp named Bergen-Belsen, she wearing a wedding gown . . . tailored from a . . . parachute. Imagine that ladies? Among the rations these human skeletons were given, were cigarettes. Hey, they didn’t smoke, their families had never smoked, and now they had cigarettes, American smokes. Well the Germans who lived in that part of Germany experienced severe deprivation too, the result of the unending military assault on Germany that convinced Hitler to end it. They were desperate for something they could not locate, smokes, American cigarettes. The ragged Holocaust survivors, who were storekeepers before the war, bartered their cigarettes for whatever the Germans had to trade, and that was often, their jewelry. Imagine, Hitler so debased his people that he left them exchanging jewelry for cigarettes. I never smoked, so I don’t know how this can be, be so it was. So Frieda’s mother, Eda, came to this country with her husband Paul, and 3-year old Frieda, and those stones enabled Paul to once again practice the trade he apprenticed in in Poland, candy making. Eda, now 95 years old, remained fond of jewelry and shared that love of fine jewelry with my wife, Frieda. Frieda was quite comfortable visiting Sotheby’s and Christies, and she did not hesitate to ask the attendants at those Pre-Sale exhibitions to try on this broach, or that solitaire diamond ring or the other bracelet. (I grew up mostly very poor, and I can say now that this left me very uncomfortable, for I guess understandable reasons). This brings us to this revelation: I have seen the world’s finest jewelry on my wife’s Spring jacket, or on her ring finger or on her wrist. I have seen multi-million dollar gems up close. I have this personal history with gems. We didn’t buy them, but we examined them, held them and she wore them. 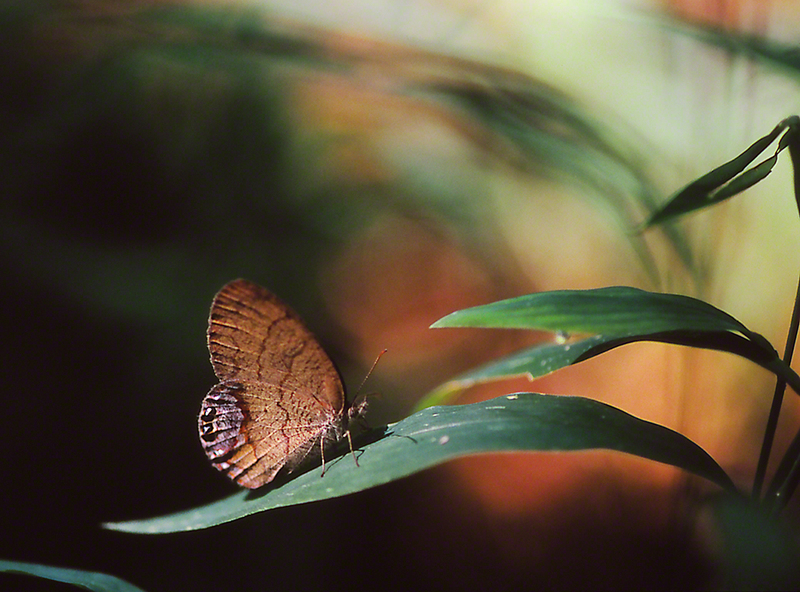 Why do I photograph butterflies? In part because I know, first hand, that the proudest work of the world’s finest artisans does not come close to the exquisite beauty of G-d’s butterflies. Not trying to be preachy here, but this is the wind to my sails. Gemmed Satyrs then, so rare, so hidden, and so beautiful, evoke and have always evoked much joy, memory, love and yes, sadness for me. This has been an especially long post for wingedbeauty.com, but one that was, I see, inevitable. Thanks. It was wonderful, pinch-me-if-I’m-dreaming fieldwork, guided by Phil in Hard Labor Creek State Park’s many diverse habitats. We were looking for butterflies and botany in Central Georgia. Phil is an excellent point man for seeking and finding wildlife and difficult to locate wildflowers. He knows this particular state park well. His knowledge led us to all the park species we were seeking. This Gemmed satyr butterfly flew its low, rambling flight near us. Phil saw it and we went after it. The challenge was to photograph in a heavily wooded area, with just dabs of sunlight peeking through, here and there. To take a shot or not? Knowing that my Fuji slide film was ASA 50, and originally loaded when we had been in a sunnier space. Would taking a chance be worth it? So here is the result of our attempt, a truly fine, long sought after Gemmed satyr. It is captured as it really looks, in its chosen habitat, the poorly lit lowlands and swamps.